If you’re interested in business, you probably want to know more about the cost of becoming a CPA. There are many costs to think about while working toward a CPA certification, but you can keep them down with effective time management and preparation. Entry-level CPAs earn 10 to 15 percent higher salaries than regular accountants. Over the course of your career, the difference in salary can amount to as much as 41 percent. Although becoming certified is an academic and financial challenge, some employers will pay for the extra education required with the understanding that you’ll continue working for the company after graduation. The first step is to carefully review your state’s licensing requirements. In most states, applicants must have logged at least 150 hours in undergraduate accounting courses. Your choices are basically the same no matter what state you live in. Your first choice is to get an undergraduate degree in accounting, and this option requires additional test-taking and certification after graduation. Your second option is to get a general business undergraduate degree as well as a master’s degree in accounting. Your third choice is to enroll in a special five-year undergraduate degree program that meets the CPA requirements in your state. The cost of undergraduate educations vary, but in general, a four-year degree at a public college costs about $20,000 while an MBA can cost more than twice as much. The most cost-effective option in this case is to become certified without getting a master’s degree. The CPA exam is difficult, and not everyone passes the test on the first try. It’s a good idea to invest in a review course to increase your chances of passing the exam, and professional courses cost between $1,300 and $3,000. You may be able to get a discount through your university, so it helps to ask a professor about financial aid. Part of the reason an exam review course is a wise investment is that the exam itself is fairly expensive. If you have to retake it, you’ll end up waiting several months and spending an additional $1,000 on the exam itself. There are four sections, and each section costs about $250. There are also application fees to take the exam, so it’s a good idea to take all four sections of the test in the same period to minimize costs. Once you’ve passed all four sections of the exam, you’re almost ready to be certified. You still must take a self-study ethics exam before you can be certified. The ethics exam costs about $160, but there may be a discount available through your university. The ethics exam is much easier than the CPA exam, so you shouldn’t have to pay to retake it after the first time. 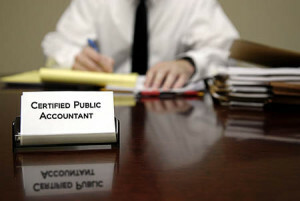 The last requirement is to apply for the actual CPA certificate through your state’s board of accountancy. The application fee is about another $160, but it’s the last cost required to become a CPA. It’s not easy to become a CPA, but you’ll be rewarded with a high salary and professional prestige. Aside from your initial undergraduate education, the costs for review courses, exams and certification total $3,000 to $5,000, depending on your choices. 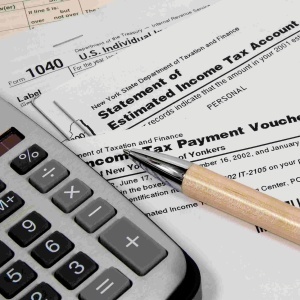 The cost of becoming a CPA is certainly worth the benefits of increased employment options and responsibility.